We absolutely love spiral, seeded, and silver dollar eucalyptus in our home. Our very first When We Wed post was on how we enjoy eucalyptus cinerea in our home all year round. This time of year we love to decorate with seeded eucalyptus among juniper, pine, spruce, cedar...the whole gang! 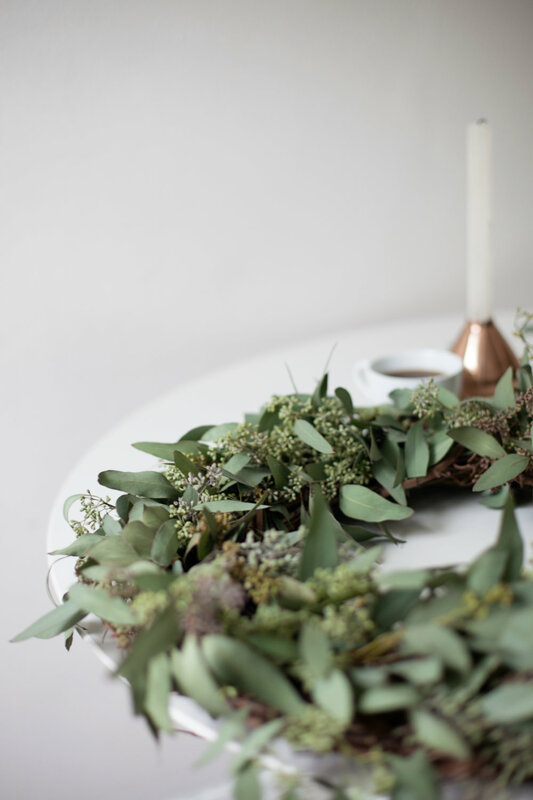 This past weekend we picked up a few bundles of seeded eucalyptus from our local florist and Sé went to town on using every bit of the bunch (and some additional elements) to create three winter wreaths. Cheers to Christmas in 19 days! We hope you're enjoying every minute of this season.